My plenary speech for DH2010, Present, Not Voting: Digital Humanities in the Panopticon, has just been translated into Japanese! The translator was Satoshi Kodama Ph.D, a Lecturer at the University of Tokyo School of Medicine who teaches medical ethics. His research interests include the moral and legal philosophy of Jeremy Bentham - he can be found on twitter as @bentham. Thanks to Satoshi, and to the International Institute for Digital Humanities for hosting. 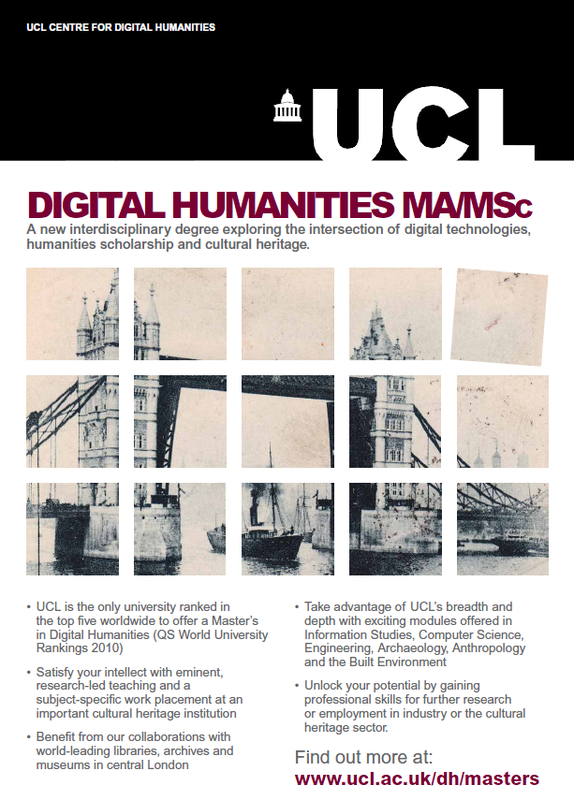 We've been putting the final touches to our promotional material for the new MA/MSc in Digital Humanities at UCL. Here is our new poster! We had to follow quite strict style guidelines from UCL communications. They tend to use a London landmark to publicise courses. I liked the idea of London Bridge - given that the degree will be bridging two disciplines -but didnt want to use the stock photo given. How could we demonstrate cultural heritage, plus digital transformations, using a picture of London Bridge? How about, I thought, using a historic image. So I bought an out-of-copyright Victorian postcard off eBay that had the right feel. 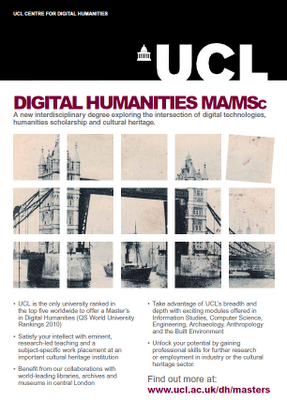 Experiments with pixelation were mocked up, and Rudolf Ammann, who designed the UCLDH logo, suggested this "look through the window" design, with one pixel skewed to add movement and suggest transformation. Comms did a good job in complying with our demands on making it look good as well adhering to the style guide. ... whilst I was away for a few weeks, Transcribe Bentham launched. Hurrah! We've had a lot of publicity, and now have 156 registered users who have transcribed 150 manuscripts in the last couple of weeks. Progress is steady! ... do of course register and sign up, to see if you can help read Bentham's handwriting! If things have been quiet around here.... its because I'm getting quieter. Those who know me in person will be aware that I'm expecting twins at Xmas. The last few weeks have seen me trying to tidy up various things, meet with various people, and get various projects wrapped up into a state I can comfortably leave them in until I'm back up to speed after The Event. Early you say! I'm not due til Xmas! ... but I've just been medically signed off from commuting into London. I have a relatively rare condition in pregnancy that makes it increasingly difficult and painful to walk, as the ligaments in my pelvis overstretch. I'm not quite in my wheelchair yet - I still can leave the house under my own steam on crutches. But my world is gradually shrinking to house, shed (home office at the end of the garden) and hospital and physio appointments. That's ok, we knew it would happen this time round. My job is to keep chipper over the next three months before the twins arrive, and the three or four months recovery time after, until I'm able to walk under my own steam again. Its worth noting how much the Internet contributes to my general wellbeing, though. It is a godsend. I can still get on with work, still communicate with friends and colleagues, and still shop (given that twins are due, there is a lot of shopping to be done). I dont know what I'd do without it. Once again, I breathe a sigh of relief that I live now, and not 20 or 30 years or longer ago. On the Internet, no-one knows you are a disabled. Except for when you tell them. Whoops. 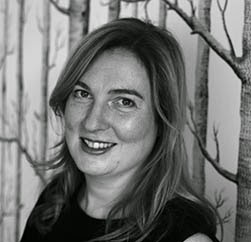 My teaching for the next 16 months will be covered by Julianne Nyhan, who we are glad to welcome on board to UCLDH. I'll be hovering on email and twitter for the duration, no doubt. In the meantime, life goes on as normal, just increasingly physically localised.